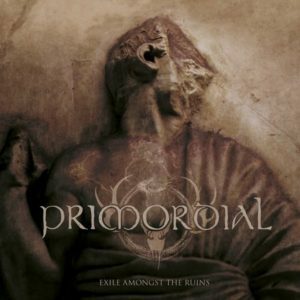 Primordial have established their own musical status throughout the years. Releases like “Spirit the Earth Aflame”, “The Gathering Wilderness” and “To the Nameless Dead” belongs to the pantheon of Epic/folk BM! After “To the Nameless Dead” album, back in 2007, they have unleashed with this one, 3 albums. All of them are following the food old recipe they have mastered in the past. Powerful songs, full of melodies, combined with an epic feeling, nostalgia, Irish/Celtic references, distinctive unique vocals etc., etc. Unfortunately, this is by far their most mediocre album! Sometime it’s OK if you continue on the same path, playing safe, without many changes, like “Where Greater Men Have Fallen” and “Redemption at the Puritan’s Hand”, but these two albums included several songs that keep clinging in your mind after you stop listening to it. Their new effort has not a single song quite memorable for me. And this is the first time it happens with a Primordial album. All the usual elements are here, but this time this is not enough! Only the opening song deserves the name Primordial, all the others would have been more than fine for another band, not Primordial!